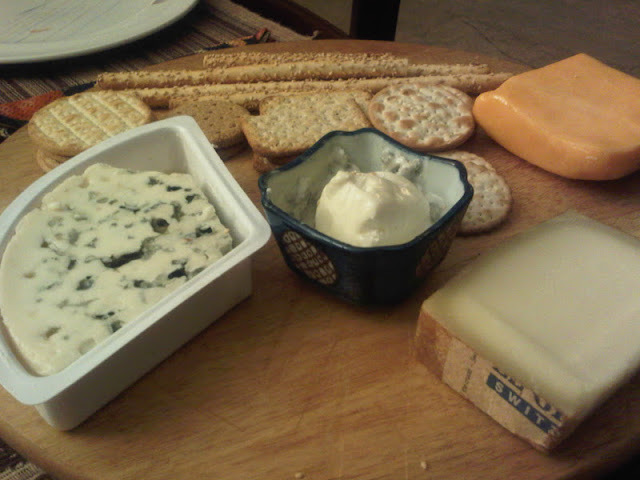 I love my cheese and when I am not traveling it is one of the things I always ask for. And hopefully someone will be kind enough to get me some before my cravings get a little out of hand! So with my latest parcel came a few questions of people asking whether one should eat the rind of the cheese or not. However there isn't a clear cut answer, for to my joy and sometimes annoyance the world isn't black and white. But let me none the less try and give you a few guidelines that certainly help. This is when cheese is sprayed with a solution containing edible mould spores. 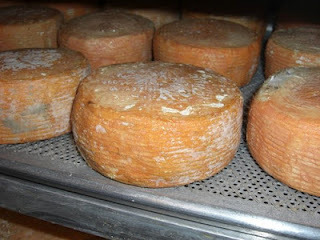 Eventually mould forms a bloomy white rind. 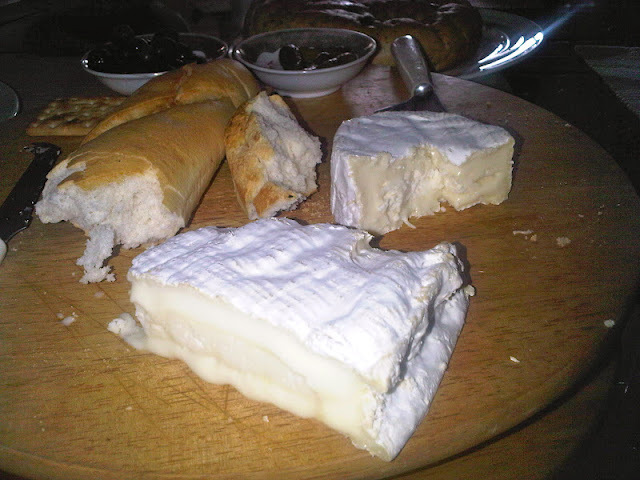 Examples of cheeses with a bloomy rind - Camembert, Brie, Cambozola certain types of Goat Cheese. Eating it without the rind is like sopping out the filling of a pie and leaving the crust. Which you might enjoy doing but as an act of courtesy to other guests always take your slice rind et al and then do with it as you please on your plate. 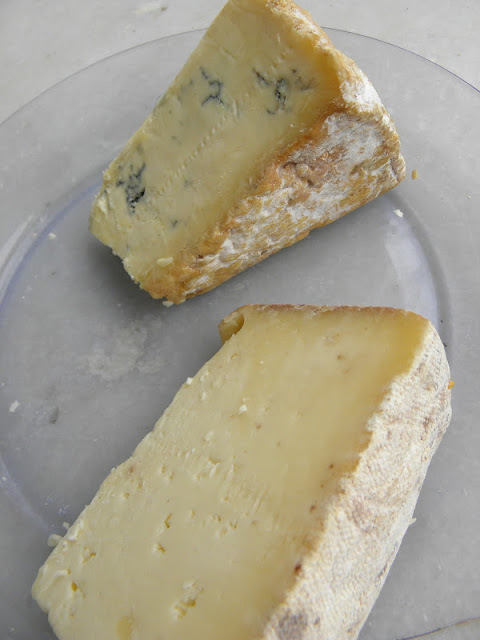 Dry and cracking rind. The rind maybe separating from the cheese. Fuzzy mould is fine but dark coloured mould on these is not. Taste of ammonia - this is usually a sign that your cheese is going off. Least amount of human intervention. Neither washed nor sprayed with mould. 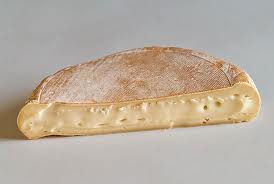 Over time a hardish crust forms around the cheese which is the rind. 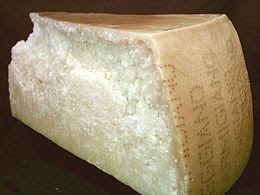 Several rinds such as parmesan will be stamped or printed - all ink is edible. Though they are technically edible - as in you won't die by eating them - but their thick, hard texture isn't very tasty and tends to detract more than add. For example Emmental, Paremsan, Asiago. Some natural rinds can add to the fun like these wonderful English cheeses brought to me with love. 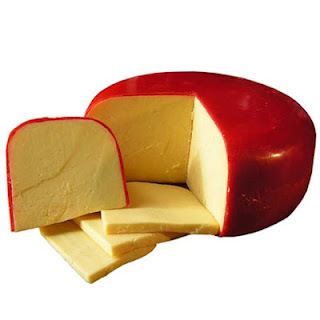 However, I dont mind a little rind here and there with some either for example on my blue stilton or this delicious Kit Calvert Wensleydale Cheese I am currently munching on! For the more inedible rinds - I hear the rinds are great for soups and stocks. Here's stating the obvious but some cheeses the rind is either lined with or made-up of - wax, paraffin, wood, cloth, inedible leaves. Such as - Gouda, Manchego. Wine leaves are of course ok to eat - though at times dry and not very appetizing. . So as you now know there is no hard and fast rule to this. When in doubt the surest way of knowing is to just try it. If it tastes bad or you have some plasticky bits that refused to be chewed well then stop. If it tastes good then keep eating!